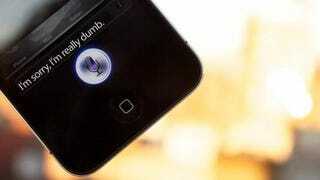 Siri was a forward-thinking addition to iOS when it was introduced in 2011. Then Google and Microsoft implemented their own (better) contextually aware virtual assistants to help navigate you through your day. But there was always room for improvement, and the original creators of Siri think they take it even further. Take a complicated command like "Give me a flight to Dallas with a seat that Shaq could fit in." Viv will parse the sentence and then it will perform its best trick: automatically generating a quick, efficient program to link third-party sources of information together—say, Kayak, SeatGuru, and the NBA media guide—so it can identify available flights with lots of legroom. And it can do all of this in a fraction of a second. This proposed method will allow Viv to perform complex search functions from more natural sentences. One example Viv Labs provides involved Abraham Lincoln. On Google Now, for example, you could ask "Where was Abraham Lincoln born?" and "What is the population?" in separate queries and get separate answers, but not "What is the population of the city where Abraham Lincoln was born?" Viv will bridge that gap by tapping into a cloud-based "global brain" that Viv Labs says third-parties will have access to as well as Viv's users, which is constantly teaching itself "sophisticated algorithms to interpret the language of behavior of people using the system," according to Wired. Viv Labs is in the early phases of this new AI and is more theoretical applications than demonstrated capabilities. The group would of course love to see their AI implemented on future devices, but with currently no support from any major manufacturer, it'll be an uphill battle. However, the team envisions Viv following a licensing model—loaning out to car companies and app makers and everything in between—instead of being tied to one operating system.